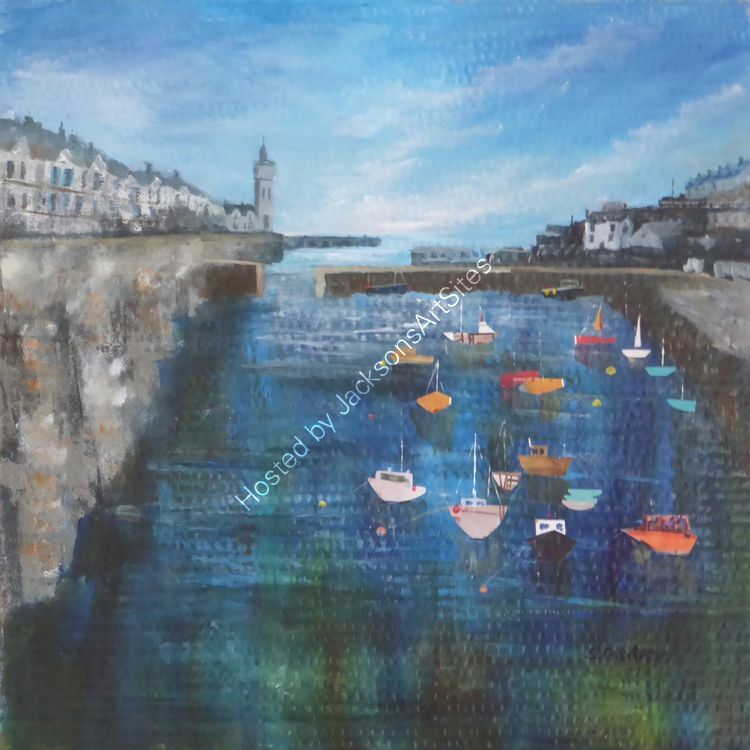 Following the storms of 2014 Porthleven has become iconic with its distinctive Institute building at the end of the harbour, the thick high harbour walls and the cluster of boats sheltering inside. This painting brings together these elements in an expressive and original style. Mixed media and collage on board, 50 x 50 cms.